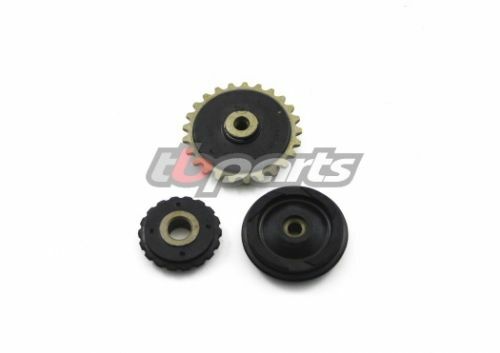 TB Honda 50/70 Chain Roller Guide Kit, includes cam chain tensioner roller, guide roller and oilpump drive sprocket. 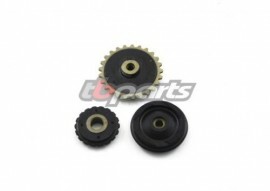 To suit all Honda 50cc/70cc. With steel bushings in guide rollers. May fit round Cam coverChina motors.